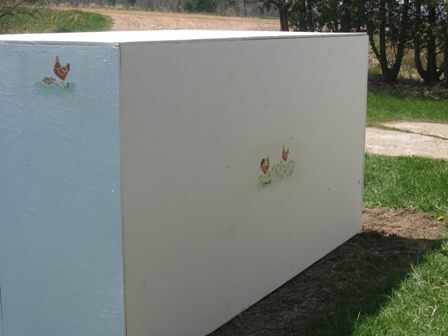 I decided that I needed a coop for the chicks. Last year I made a sheltered area in their run but, it was a hassle. So I started thinking what type. It will only be used for a few months of the year so I didn't want to put alot of money into it and yet I wanted something that would work without a lot of hassle. 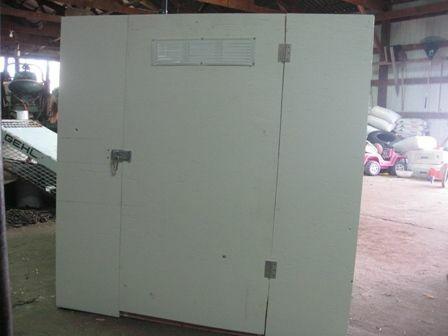 Then I remembered the old wooden calf hutches that were so popular years ago before the poly ones came out. 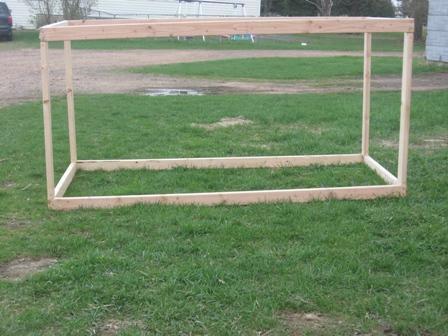 I adapted the plans for the calf hutch to make a chick coop that when not in use as a chick coop can be used for a calf hutch when we need an extra one! 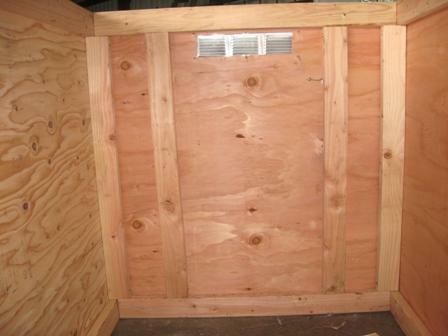 It took 10-2x4x8 and 4 sheets of plywood and we used some scrap lumber we had for the popdoor and it's tracks. The basic frame work. Built out of 2x4's. 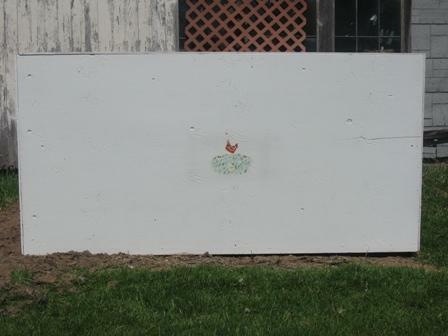 We will be adding some more to this basic frame as we go. 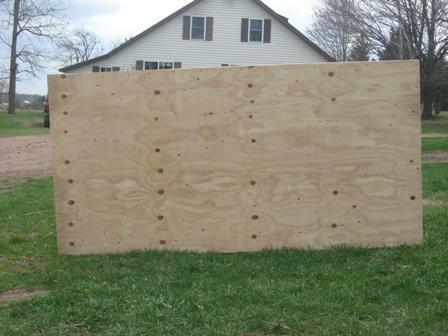 The plywood sides-we used 1/2 inch and full 4x8 sheets. 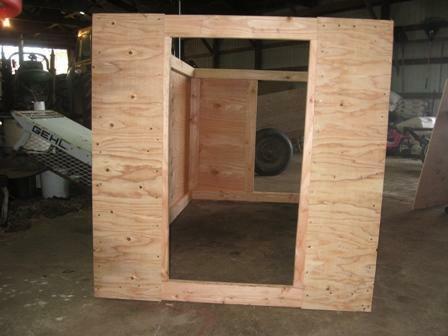 The ends which are 1/2 sheet for the back which we cut a people door in and 1/4 sheet for the the solid part of the front with the other 1/4 sheet having the chick door and vent in it. 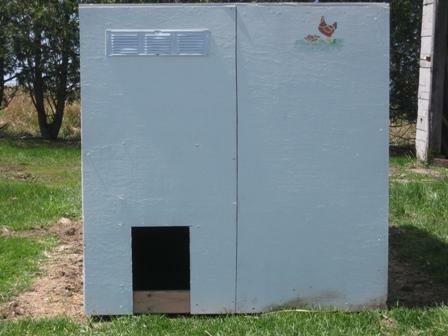 The quarter sheet with the chick door can be removed and that then becomes the door for calves. 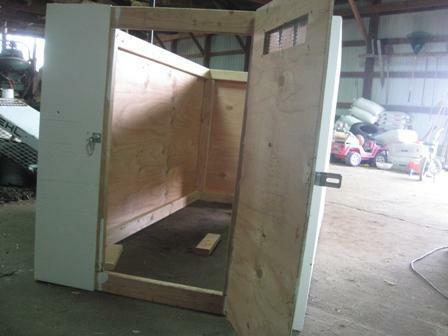 Here is the back with the door on. And the backdoor open. 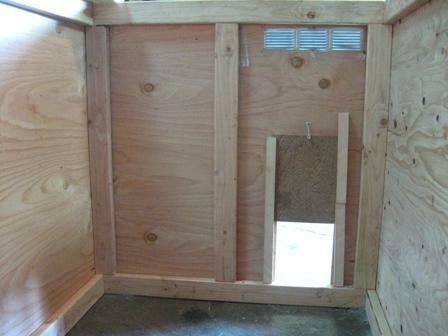 The back door from the inside to show the added framework and latch. The pop door from the inside. 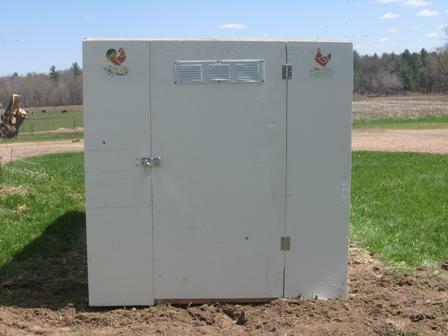 The front with removable door panel. One of the sides. The other side. 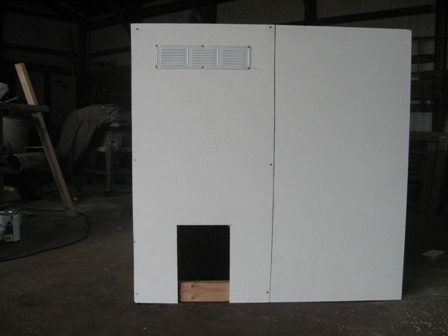 The back with the door for humans! Now I need to do the run! More coming as I finish! It doesn't appear to have much in the way of ventilation...maybe there's more to it than what's showing in the article? I would love to see the finished product. Great pictures of your progress. how has the flat roof held up over the years @Farmer Kitty ?